Admire the treasures of Prague Castle and the Castle District on this fascinating 3-hour walking tour. 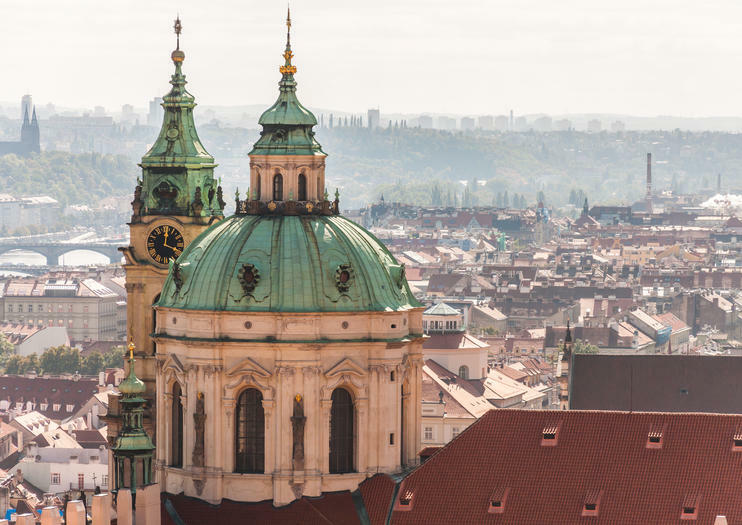 With a knowledgeable guide, enjoy stunning views of the immense walled castle from the Vltava River, and explore the elegant Malá Strana quarter beneath its walls. Ride a tram to the castle, and venture inside to see its grand palaces, ecclesiastical buildings and courtyards. Stroll through the gardens, view St Vitus Cathedral, and visit cobblestoned Golden Lane — a row of pastel-painted cottages that once housed castle soldiers, alchemists, goldsmiths and servants. Experience riding a fun Ninebot scooter and see the city of Prague at the same time. This informative and entertaining 2-hour guided tour takes you throughout the historical center of Prague, a guide giving you the historical lowdown as you go, seeing the highlights in the Old Town, Mala Strana, the Jewish Quarter and Letna Park.